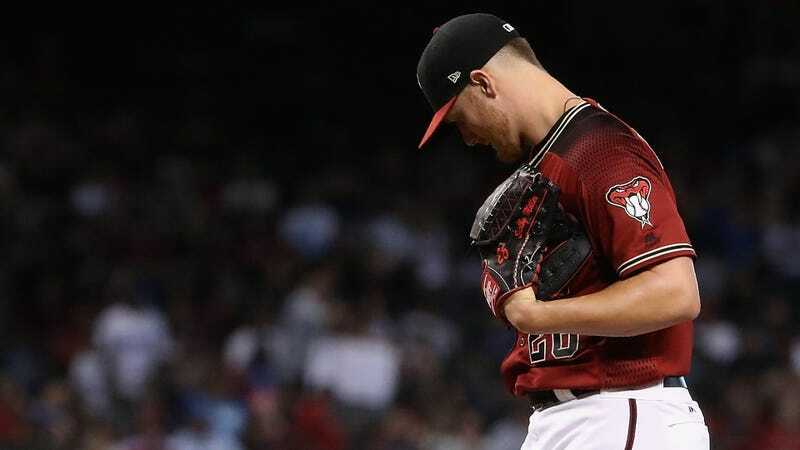 More than a year after it happened, the Diamondbacks’ trade for Shelby Miller has come to serve as a sort of easy symbol of the organization’s dysfunction under former general manager Dave Stewart. But following a truly miserable 2016 that included extended stints in the minors, Miller actually took some steps toward redemption early this year—with the best spring training performance he’s ever had and a perfectly serviceable, though not spectacular, start to the season. Miller met with Dr. James Andrews for another opinion yesterday and is considering Tommy John surgery. So it goes.